It’s spring in Missouri and that means it’s time to Spring Clean your Kitchen. No one likes to spring clean….NO ONE. But we all know it needs to get done. If you are anything like me, you see that it needs to be done, but you keep putting it off. Spring is the perfect time to do it. Soon the windows will be open and the sun will be shining through. You will want your kitchen to be as clean as it can be when the sun hits it. That means a day in the kitchen deep cleaning all the things we just skim over usually. That type of cleaning is good for the rest of the year, but at least once a year I do a deep cleaning. I just feel better when this is done. When I was a kid, my mother would get us up extra early on the deep cleaning days. We would work all day on the house, but especially on the kitchen. Although I hated those deep cleaning days, she taught me how to clean well and I do appreciate that. So even if your really don’t want to spring clean your kitchen, try it once and see how it makes you feel. 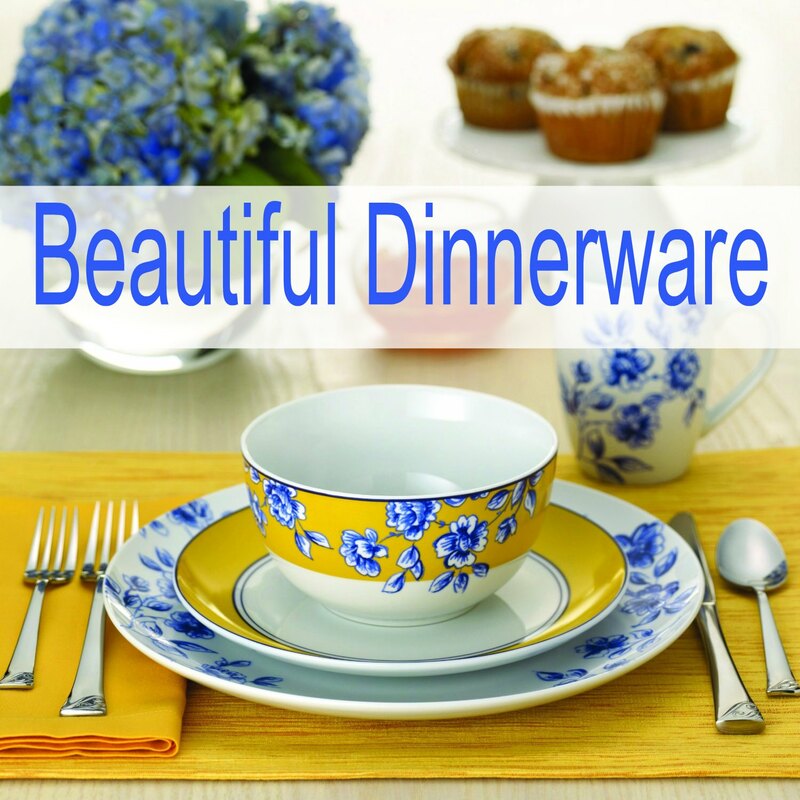 You will be so much prouder of your beautiful kitchen. Maybe it will get you to spring clean the rest of the house. Just don’t try to do it all on the same day. That would be a killer day. 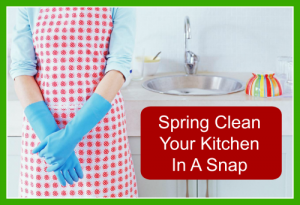 Where To Start Spring Cleaning Your Kitchen? I usually start with the worst project and for me that is the oven. My oven is horrible and I am ashamed of it. But with some simple and easy tricks it will be glowing in now time at all. I have tried the oven cleaners from the store and I have tried using my ovens setting to clean itself. I didn’t like either one. The fumes from the store bought cleaner about killed me and the self cleaning ovens are set to so high temperatures that it scares me. I think it’s going to explode. So I like things less stressful. 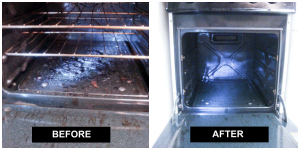 I clean my oven with baking soda and vinegar and it is easy to do. Here are step by step instructions. I let mine soak a bit so the baking soda can do most of the work. These are the results you can expect. It does take some elbow grease, but you can do that. It’s not just the inside of the oven we want to spring clean. 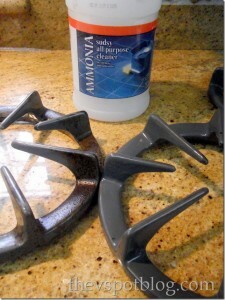 I found a really simple way to clean your stove top burners that are baked on at The V Spot Blog. 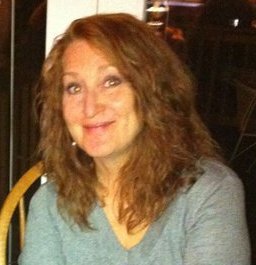 Check out her before and after pictures. There is no scrubbing at all. She just puts them in a Zip-lock bag over night and they come out looking this great. She does have a secret ingredient she puts in the bag. Why didn’t I think of this? Her secret ingredient is ammonia. I hate the smell, but if I do all this outside, I think I can keep the smell to a minimum. Just let the stove top burner grates sit over night in the fumes and they will come out clean. Who knew??? Not me. If you have an electric stove, those burners are easy to clean as well. These take a bit more care. I use a product called Bon Ami which is a non-abrasive cleaner much like Comet, but much gentler. I just dab a bit of Bon Ami on a wet rag and gently scrub off the messes I have left on them from cooking. Rinse carefully and they are ready to be put back on. Keeping the refrigerator clean year round is something I am sure we all do. But once a year, at least, you need to do a deep cleaning. Martha Stewart has a great check list of what she suggests to do for your spring cleaning of your refrigerator. This check list has instructions on how to clean your refrigerator once a year, every month, every week and every day. Martha knows how to keep things clean. How To Spring Clean Your Dish Washer? Real Simple Magazine has made this an easy chore now with Kool-Aid. I would suggest that if you plan on cleaning anything from the kitchen in the dishwasher, do that first and then clean the dishwasher. 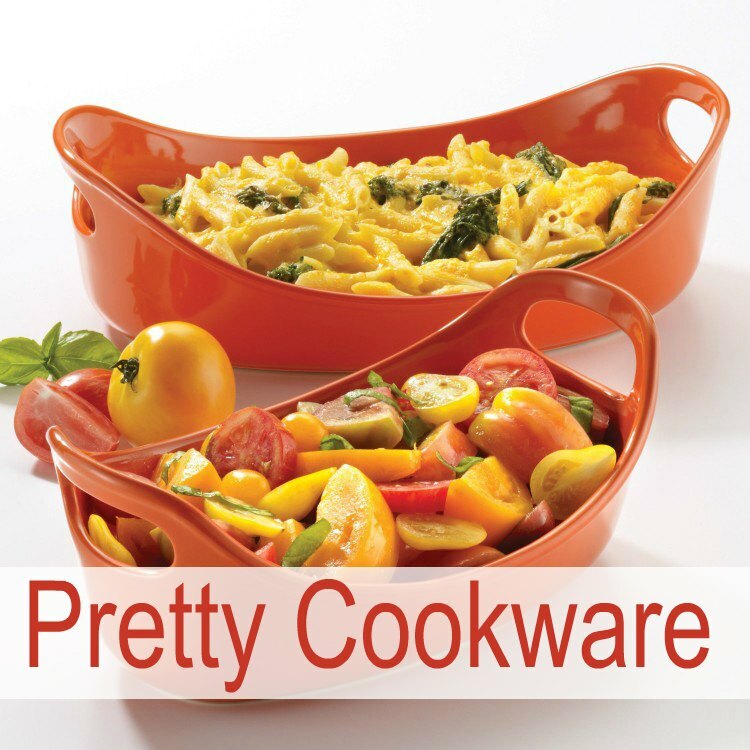 Don’t try to double duty it and wash the dishwasher and the dishes at the same time. Clean the dishwasher while its empty. Cleaning the small appliances around your kitchen is important to do at least once a year, if not more. The microwave is on top of a cabinet that I can barely reach, so that means I can’t see the dirt and grime. But I know its there. Here are 4 easy ways to clean the microwave without much scrubbing. Cleaning your toaster is important to do on a regular basis. The best toast come from a clean toaster. It is easy to do and doesn’t take much time. Follow this easy video and you will have a sparkling new toaster in minutes. Next let’s spring clean your coffee maker. I am really bad about deep cleaning my coffee pot, but it makes a huge difference when I do. It’s not difficult, it just takes time. A dirty coffee pot effects the taste of the coffee and how long it takes to brew it. I am a huge coffee drinker, so if my coffee isn’t right, I am not a happy camper. Here is a quick video on how to clean your coffee maker. The guy in this video suggests you run a warm pot of water through the coffee maker once so your coffee doesn’t taste like vinegar. From my experience, I would do it 3 or 4 times. Just to be safe. 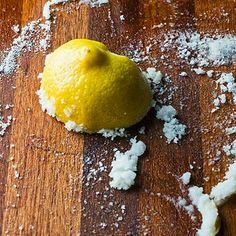 If you are like me, you don’t really think of deep cleaning your wooden cutting boards. But they do need it. I have a butchers block island that I use every day. I try to deep clean it at least once a year. I found an natural and easy way to do this, so I know you can do it too. I found a blog from Swoon Studios that does it just like I want to do things, naturally. Check it out and don’t forget to condition with oil or something like that your wooden cutting board when you are done. 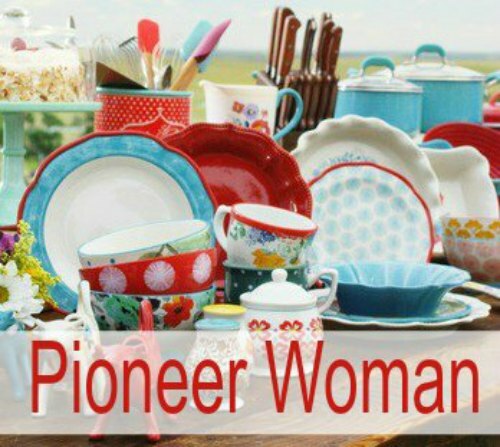 We have talked about setting up and organizing your cabinets and pantry on this blog. I hope it has been some help to you. But what we haven’t talked about is how important it is to deep clean your cabinets and pantry at least once a year. 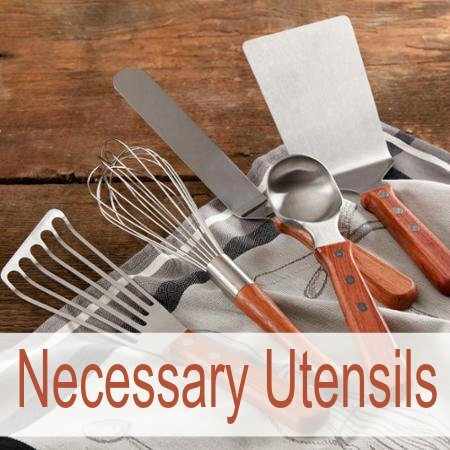 We use and maybe even overuse those areas in our kitchen, so they really deserve a deep cleaning. I use dish soap and a rag and just get to cleaning. 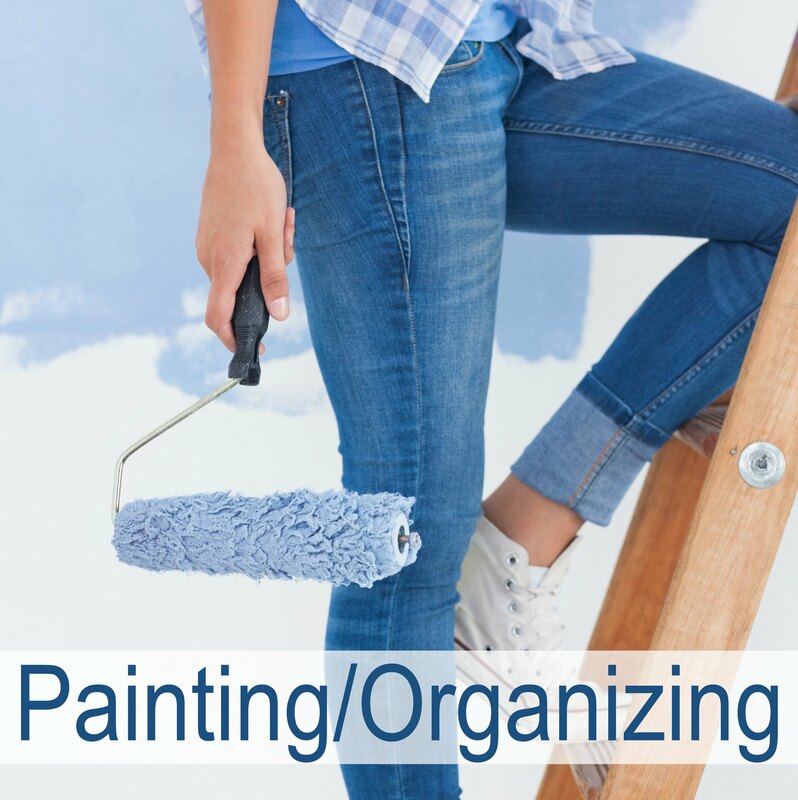 If some areas need to be reorganized, I take the time to do it now. I usually empty out the cabinet, clean it and then put things back. Don’t forget about the cabinet doors. They will need a deep cleaning if you are only doing it once a year. 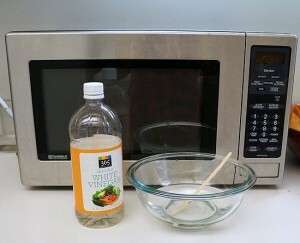 Here is an easy way to clean off the gunk from your cabinet doors from Jillee at One Good Thing. 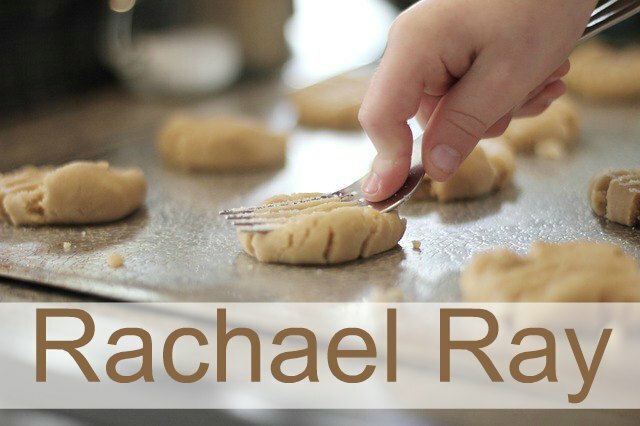 She includes the recipe to get the gunk off your cabinets. So easy and quick. You will be surprised. We use our kitchen sinks every day, all day. Now is the time to really get it cleaned up right. If you have a garbage disposal, I would take some ice and lemon slices and grind those up well. The ice will help sharpen the blades and the lemon acid will help clean any bad germs hiding out in there. It smells good too. The girl from Apartment Therapy has a great recipe to clean the disposal with baking soda and vinegar. Sounds like a made science experiment. Then I scrub my sink with cleanser like Comet that will help get the deep down dirt. Take an old toothbrush and get in the grooves of where the disposal and the sink connect. 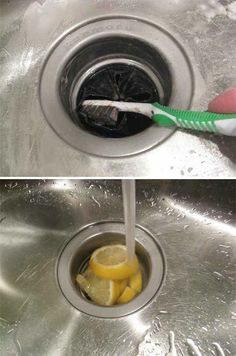 A toothbrush is a great cleaning tool. I also use it around the faucet and in any small crevices on the faucet. I just look for small spaces to clean with the toothbrush. Rinse it all nice and clean and you are ready to use it again for another year. Although, I would suggest doing this more than once year. Try once a month. If you do these easy and quick Spring Clean ideas for your Kitchen, you will feel so much better about your kitchen. You will be so happy with the results, you will wonder why you waited so long to deep clean your kitchen. You don’t have to wait for spring to clean your kitchen. Try doing it quarterly.